What is the steel like? I am aware that its 7Cr17, which I've heard is quite a soft steel for knives, do you ever use them or perform 'cut tests'? heres some info for you ive borrowed??? The 400 series remains one of the most popular choices for knife makers because it is easy to sharpen and it is resistant to corrosion. 410 is a hardenable, straight-chromium stainless steel which combines superior wear resistance with excellent corrosion resistance. 416 is very similar to 410 with the addition of sulfur to improve machinability. 420 has more carbon than 410, but less than 440. As such it is softer than 440, but has a higher toughness. 420HC is a higher carbon content 420 stainless. The HC stands for "high carbon" and it can be brought to a higher hardness than 420 and should not be mistaken for it. Buck Knives uses 420HC extensively. 420J2 is an inexpensive,highly corrosion resistant steel. Knife manufacturers use this material in budget knives, also in diving knives due to its high resistance to corrosion. 440A is relatively a low cost, highly corrosion resistant stainless steel. 440C is considered a high-end stainless steel. It is very resistant to corrosion and is one of the most common stainless alloys used for knife making. The once ubiquitous American Buck Model 110 Folding Hunter was made of 440C before 1981. 440C has highest carbon content in 440 group. If its AISI designation is 440C, DIN designation is X105CrMo17. 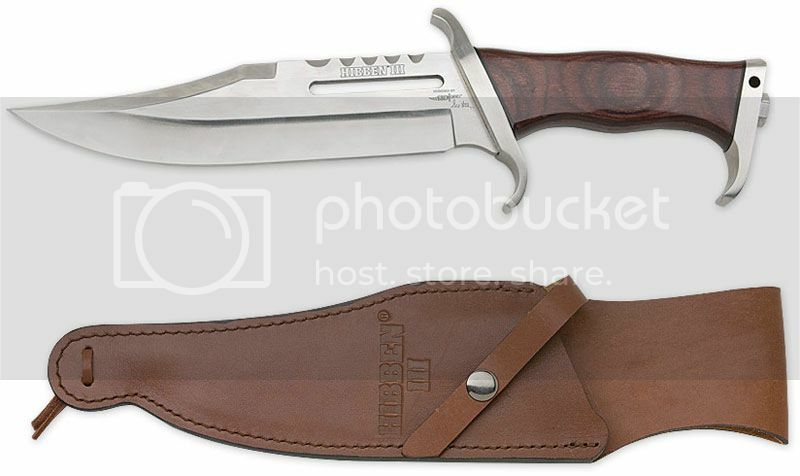 It's also made by Böhler as n695 steel, this one widely used by Cudeman in its survival knives series (MT series, Boina Verde and JJSK).